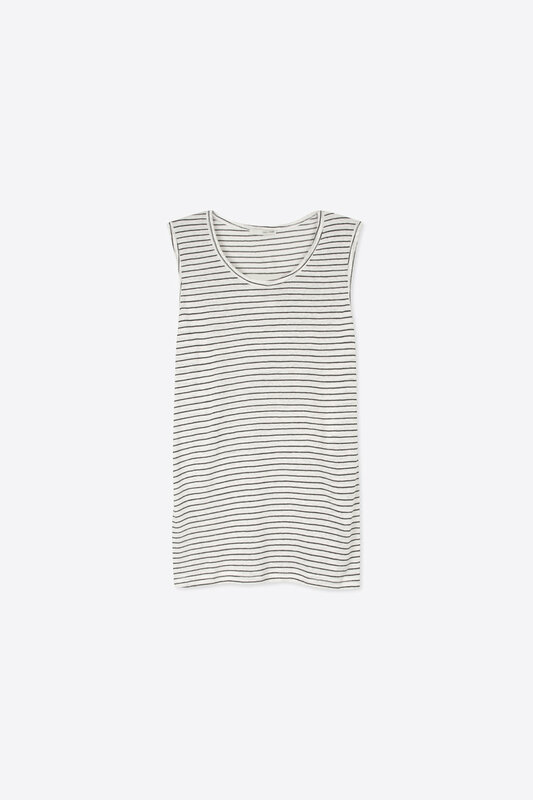 Crafted from an ultra lightweight and breathable linen blend, this tank features a basic muscle tank silhouette with classic black and cream stripes. 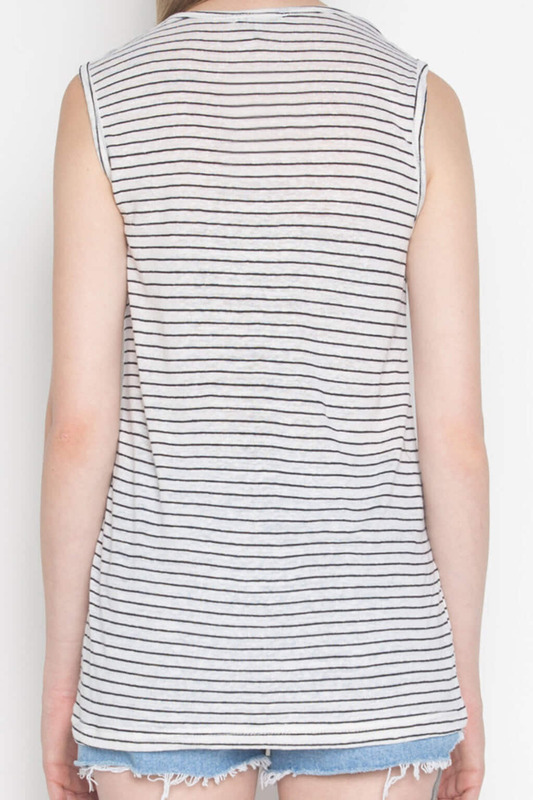 Easily styled with anything, this tank is a summertime staple. 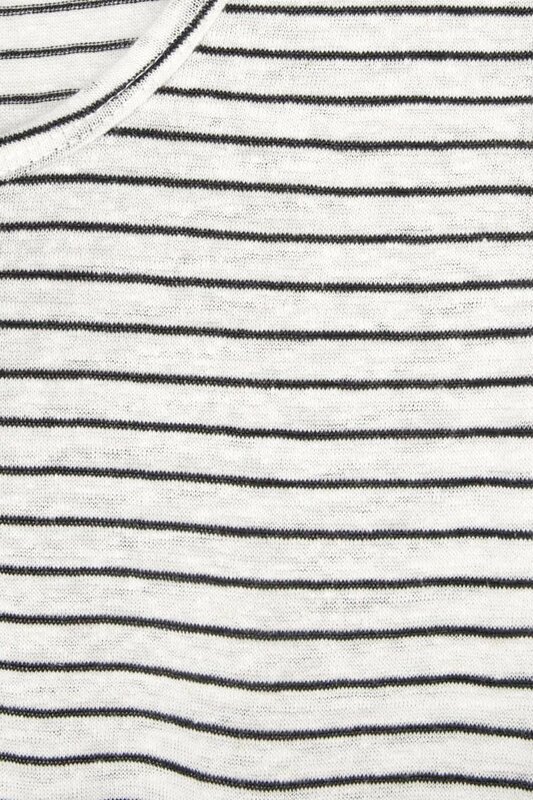 Pair with high-waisted denim shorts and sneakers for a casual everyday look.